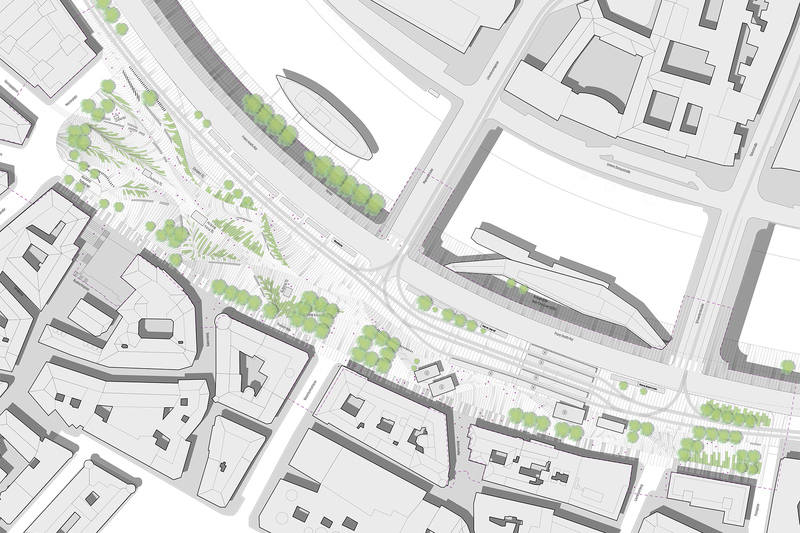 Schwedenplatz presents itself currently as a heterogeneous urban space with different functions. This fact causes a difficult readability as continuous space since the various areas have been resolved locally without an overall strategy. 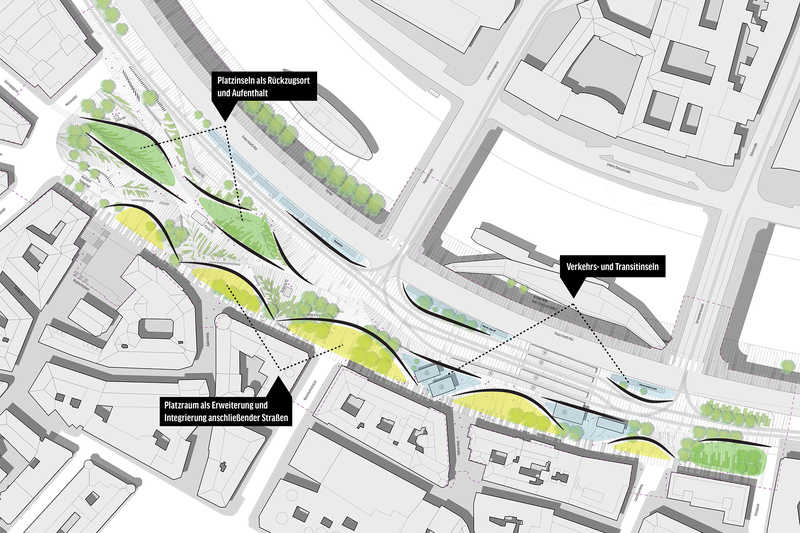 The site is structured by the linear, accompanying Donaukanal as well as different traffic flows that create a kind of „backbone“. 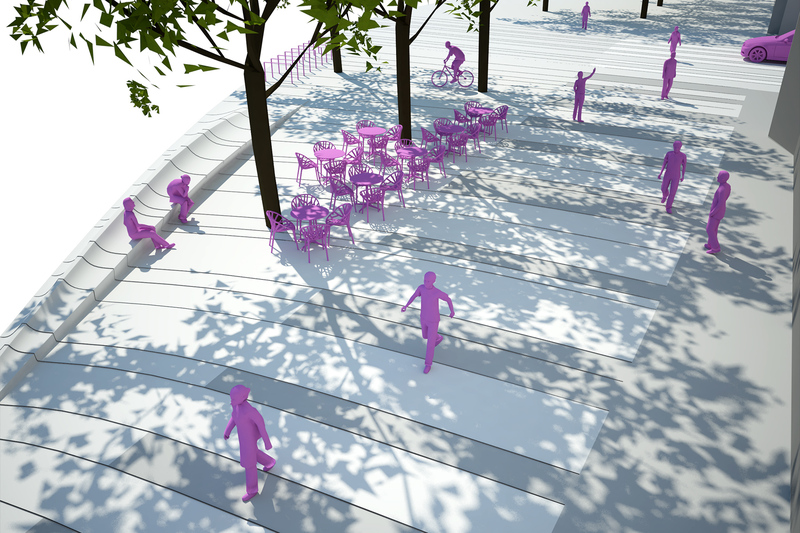 A right-angled orientation to this backbone of a proposed pattern is a first step to provide guidance and orientation. Furthermore, enabling a generous longitudinal movement is a basic prerequisite for functioning as a transit and movemente space. In particular on the side of the city center, where a 6 meter wide boulevard in front of the houses connects different functions and areas. As a strategy for local differentiation, a network of paths connecting relevant points is generated with minimized detours. The result can be read both as a network of intersecting paths as well as a series of different „islands“. This duality of movement and resting is the basis for further articulations. 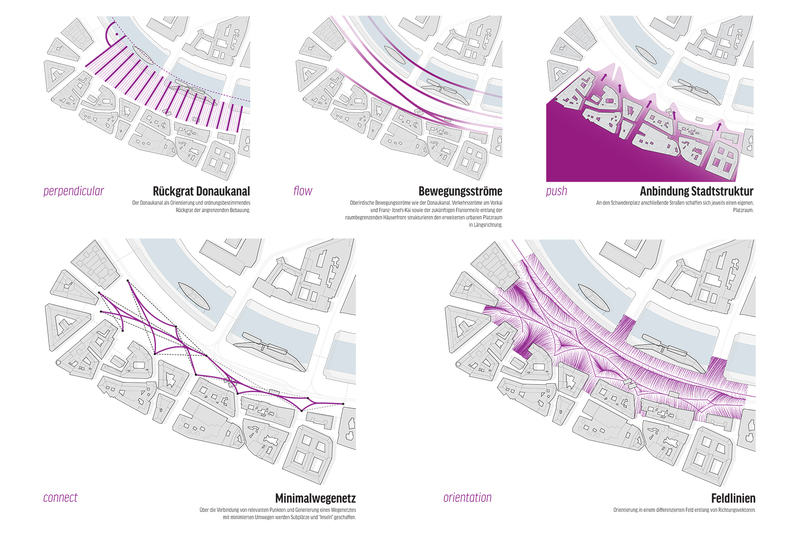 The idea of a „space for all“ is made possible by a series of converging regions with different qualities. 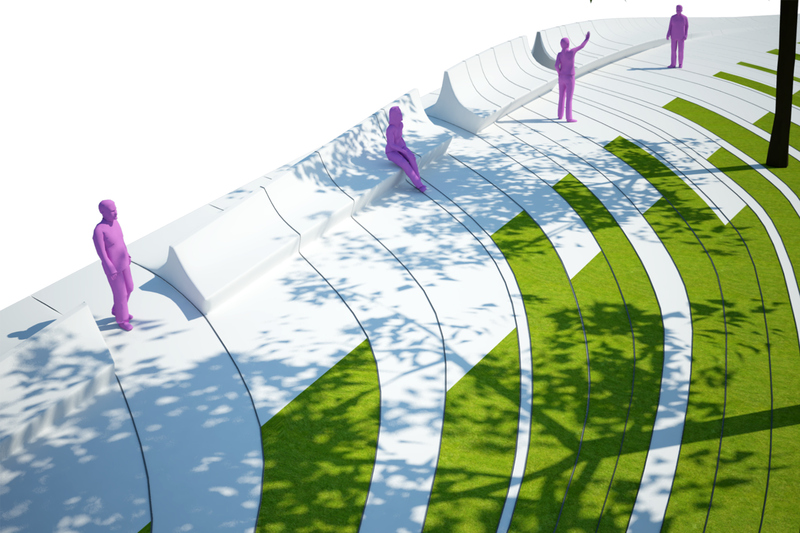 At the same time, a pattern generated by the site conditions, integrates and connects the different subareas in an overall design concept.